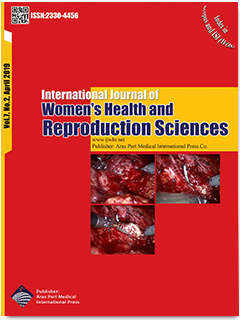 Objectives: Globally, caesarean section (CS) has immensely contributed to improved obstetric outcome in circumstances where vaginal delivery is not feasible. However, in some low-income countries, there is aversion to the procedure. The aim of this study was to determine the level of awareness and socio-cultural barriers to the acceptance of CS. Materials and Methods: A cross-sectional study was conducted among 344 parturients at Federal Teaching Hospital in Abakaliki, from October 1 to November 30, 2016. Data were collated using a self-administered questionnaire and was analyzed using SPSS version 20.0 and conclusions were drawn by means of descriptive statistics. Results: All the respondents were aware of CS as an operative abdominal procedure for delivery; of these, over one-tenth (14.0%; 48/344) had experienced the procedure previously. Over four-fifths (82.3%; 283/344) of those who have had a previous CS were wellinformed about the indications. About one-fifth (20.3%; 70/344) did not accept CS for any reasons. The major barriers to acceptance were being considered by peers as a reproductive failure (29.2%; 7/24), high cost (20.8%; 5/24) and religious beliefs (12.5%; 3/24). Conclusions: Majority of antenatal attendees had a significant awareness of CS and the indications. Moreover, a vast majority had morbid aversion towards it; due to numerous, non-evidence based socio-cultural reasons. Therefore, adequate health education, female empowerment, access to free or affordable antenatal care service, elimination of harmful, religious/cultural beliefs and myth regarding caesarean delivery are necessary to curb this ugly trend if we hope to achieve the sustainable development goals related to maternal health.